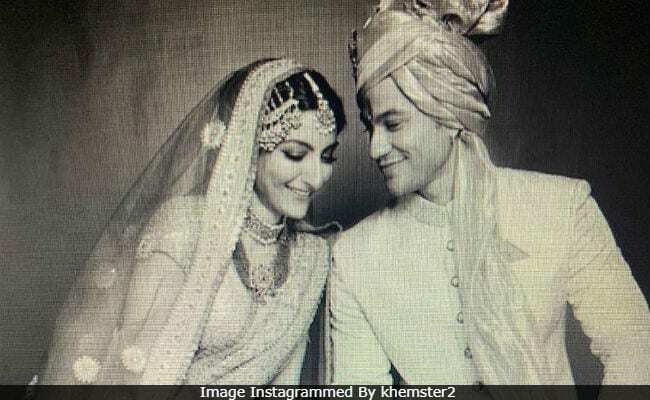 Happy wedding anniversary, Soha Ali Khan and Kunal Kemmu. On their fourth anniversary, the star couple wished each other with two of the best pictures from their wedding album. Kunal posted a black and white picture with Soha and wrote, "To friendship to love to parenting together. I cherish every step that we take together. Happy anniversary, Sohu." "Four years and a promise of forever. It only gets stronger," read Soha's post for Kunal. Soha and Kunal's posts are flooded with best wishes from their celebrity friends. "Happy anniversary," wrote Shweta Bachchan Nanda while Neha Dhupia commented, "Happy, happy, happy humaare pyaare Soha and Kunal." Here's what Soha and Kunal posted for each other on their wedding anniversary. To friendship to love to parenting together. I cherish every step that we take together.. Happy anniversary Sohuuu!! Soha Ali Khan and Kunal Kemmu married in an extremely private ceremony in Mumbai on January 25, 2015. Soha, as a bride, looked lovely in a cream and orange lehenga-choli while the groom Kunal was dapper in a golden sherwani. Soha and Kunal welcomed their baby daughter Inaaya Naumi Kemmu in September 2017. The couple first met on the sets of their 2009 film Dhoondte Reh Jaaoge. Kunal proposed to Soha in Paris. Apart from Dhoondte Reh Jaaoge, Soha and Kunal co-starred in 99 while she featured in a cameo Go Goa Gone, which starred her husband and brother Saif Ali Khan. On the work front, Soha Ali Khan hasn't signed a film after last year's Saheb, Biwi Aur Gangster 3, in which she had brief role. She debuted as an author in 2017 with the book The Perils of Being Moderately Famous. Kunal Kemmu is making his web series debut with Abhay. Kalank is his next film.